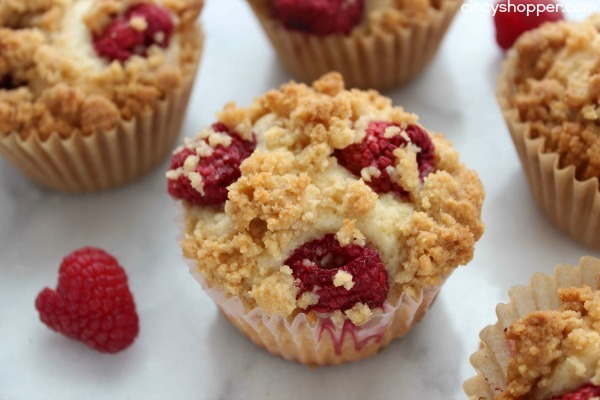 These Raspberry Streusel Muffins will make for a perfect breakfast or evening dessert. There is nothing better than a warm muffin with streusel topping. This past week, raspberries have been on sale at Aldi for just $0.99 per package. I will admit I purchased quite a few. I knew when I bought them that they would make for a great muffin. The first batch I made into some Raspberry Vanilla Overnight Oats for us to enjoy again since everyone liked those. Then I was ready to make these Raspberry Muffins with delish topping that I pictured when I bought all these raspberries. I considered adding a cheesecake twist on these since we have been enjoying a bunch of cheesecake desserts this past few weeks. 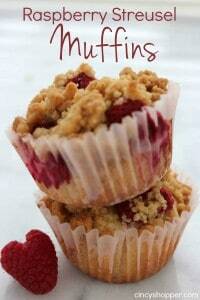 Something like our Strawberry Cheesecake Muffins, but then decided against it. I wanted the fresh raspberry flavor to really shine through with these. 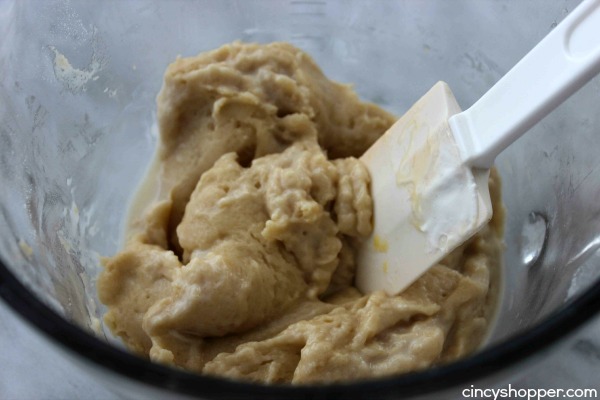 The ingredients needed for these super tasty muffins are very simple. You probably have most everything in your cabinets. Just grab some sour cream and some fresh raspberries and you will have these made in just a few minutes time. 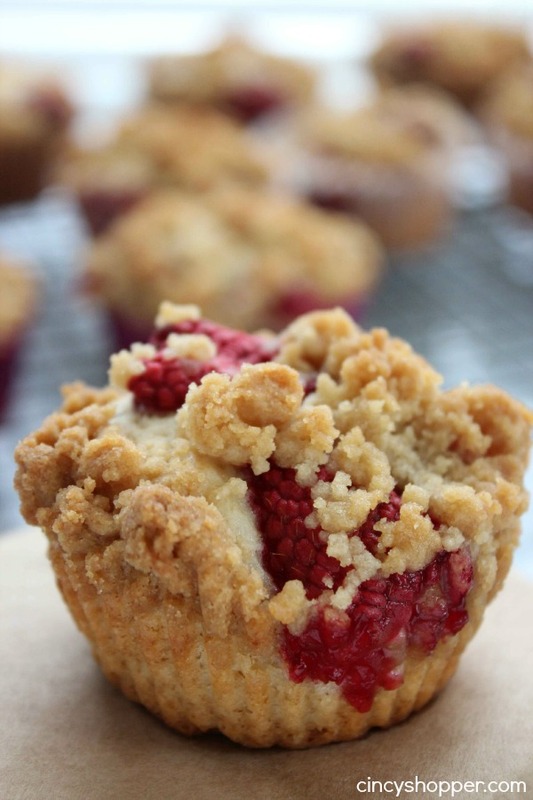 My family really enjoyed these Raspberry Streusel Muffins. In fact, they did not make it through until morning breakfast. Big mistake for me trying to make these the night before ha ha! Everyone decided that they would make for a great evening dessert instead. These were such a hit that I picked up more raspberries to make another batch. They were priced a bit higher this week but still priced great. 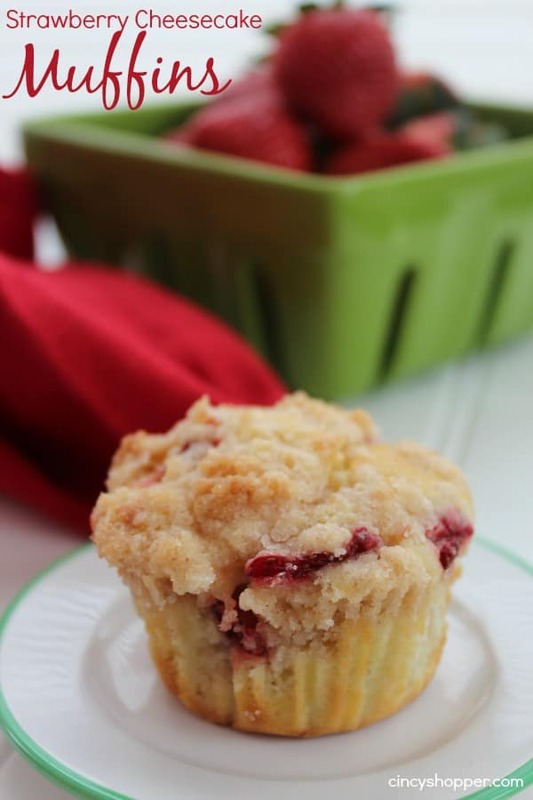 If you are a Muffin Fan you may also want to check out my Strawberry Cheesecake Muffins. They are SUPER Yum too! I’m curious how many muffins this recipe is intended to make. I assumed 12 so started filling my 12 cups but came up short on batter. Which got me to thinking that maybe the recipe was only for 6 muffins. So I doubled the recipe in order to fill all 12 of my liners. But then i seemed to have way too much streusel and too many raspberries (if that’s even possible). On closer look, in your photos there appear to be 8 muffins and you only fill them about half way…? 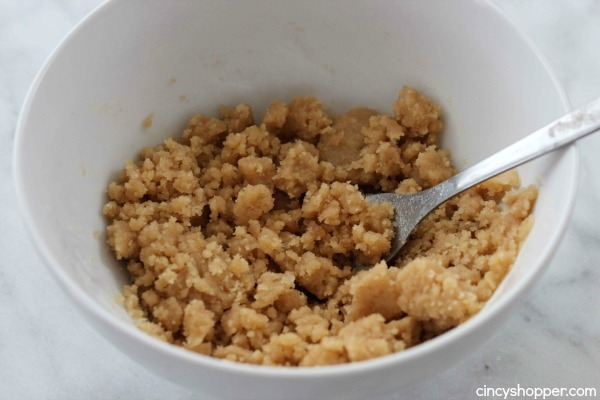 Also, my streusel didn’t get as clumpy as your photo shows. There were buttery clumps and then a bunch of flour/sugar powder. Maybe my butter wasn’t softened enough? Anyway, I am waiting on them in the oven right now. Looking forward to it. I’ve made these a few times. They are half size of regular muffins. But great for breakfast. 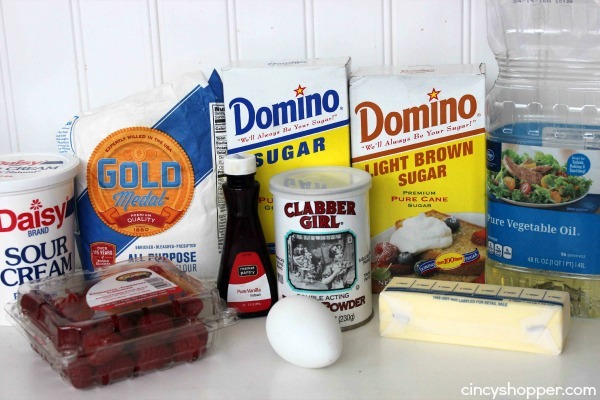 I mix the raspberries into the mix and then sprinkle the topping over the mix. They are the best muffins, I’ve ever had… hands down. I made 12 muffins. 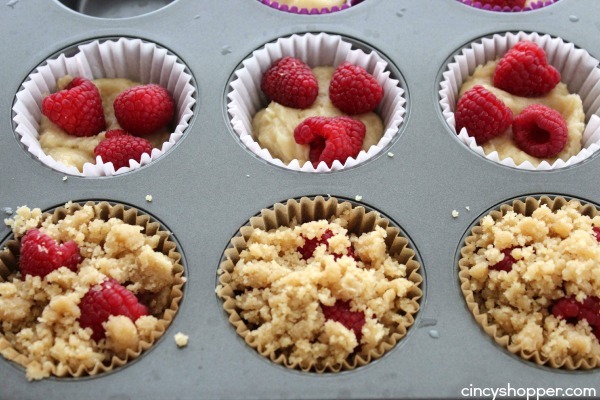 They were about 2/3 full, then added 3 raspberries (and blueberries) in each muffin cup and put the topping on top. When they were baked they raised and were a nice size muffin. I used 1/2 of the topping so I made another batch a few days later. Next time I’ll make 1/2 batch of topping. They were very good and I will make them again.